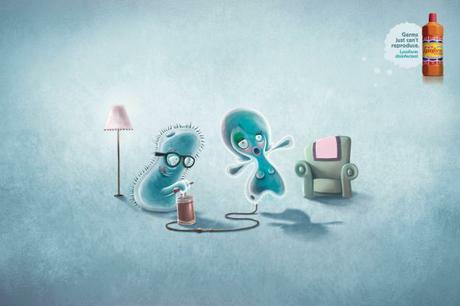 If there is any truth behind this campaign’s message, we should all be celebrating the fact that germs will no longer be making sweet loving on our kitchen counter while we prepare dinner. Now that Lysoform has rendered all Germs either socially awkward, impotent or gay, things are looking pretty grim for the germ population. 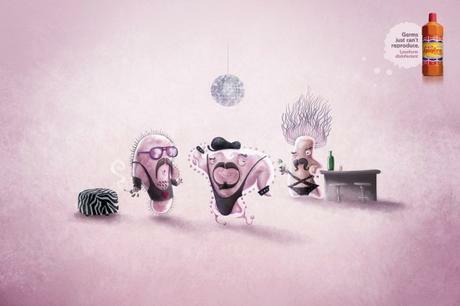 Thanks to this clever campaign for Lysoform disinfectants by DPZ Propaganda Brazil, we can now all see the funny side to germs doing the deed on every surface in our houses (yes, every surface), knowing that lysoform will soon be putting an abrupt end to their fun and games.